1. 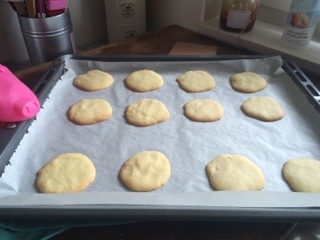 Preheat oven to 175 c/350 f and line a baking tray with parchment paper. 2. 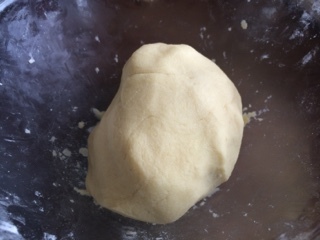 In a large bowl stir together the ingredients for the shortbread cookies. Knead until well combined. 3. 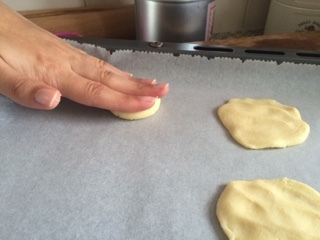 Roll dough into little balls, flatten lightly with your hands and place on baking tray. 4. Bake at 175c/350f 10-15 minutes. 5. 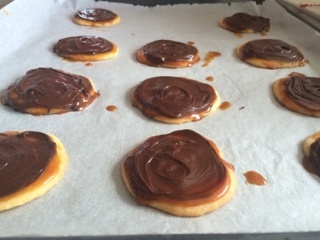 Remove from oven and let cookies cool completely. 6. 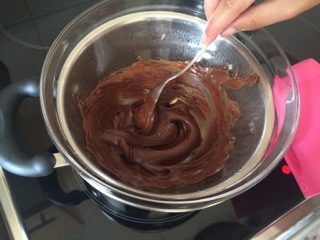 Melt chocolate and butter in microwafe or a bain marie, let cool the chocolate. 7. 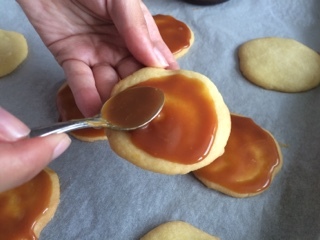 Spread caramel sauce over cooled cookies. 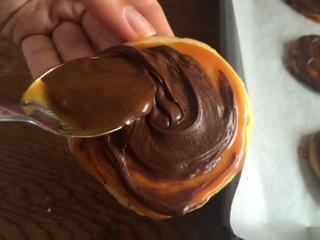 Let caramel cool completely before spreading with chocolate. 8. 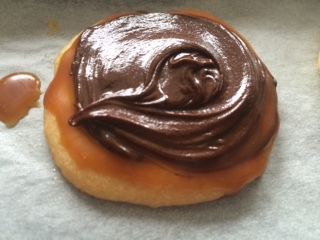 Spread the chocolate over tops of cooled caramel.